We generally think of a licensed doctor who practices psychology when we hear the word psychologist, which may be why aspiring educational psychologists ask the question, “do I need a license to work as an educational psychologist?” As a general rule, if the individual is a psychologist, he or she needs a license to work. Educational psychologists are no exception to the rule. Educational psychologists work with schools and children and are a vital part of our educational system and can be very beneficial to a child’s education. A licensed educational psychologist is a trained psychologist who focuses his work on how people learn and what makes them learn. 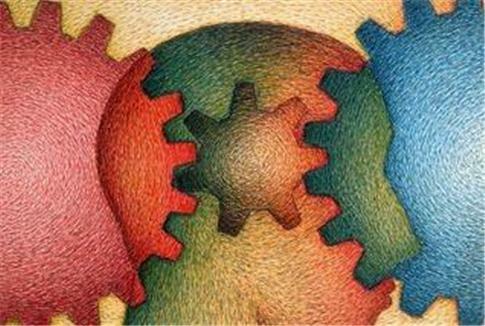 Educational psychologists are often thought of as being the same as school psychologists. While there are some similarities between the two, the biggest difference is that school psychologists work directly with children while educational psychologists work with schools. An educational psychologist may not be qualified to diagnose a student’s learning ability but can analyze a school and determine what factors are working and which ones are not. They may work as researchers, educators or consultants. After performing extensive research, they make recommendations on how the school can improve their education to better help the students. Educational psychologists may also work with adult learners. Educational psychologists typically have at least a master’s degree, which may be combined with a study of developmental psychology. Educational psychologists who want to teach can earn a master’s degree, but a Ph.D. is usually required for higher-level research positions. Graduate educational psychology programs require courses in regression and correlation, educational research, data analysis, brain research study, advanced research design and program evaluation. Doctoral students may be required to complete a dissertation. Aspiring educational psychologists generally complete a bachelor’s degree to gain knowledge of psychology and then earn the masters and/or doctoral degree. Educational psychologists are required to obtain licensure in all the states. The licensure requirements vary from state to state. Typically, a doctoral degree is required for licensure, but this may not always be the case. Applicants for licensure are usually required to first complete an internship for at least one year. California is unique in its education and licensure requirements for educational psychologists. All that is required in California is earning a master’s degree, becoming a Licensed Educational Psychologist (LEP) through the Board of Behavior Sciences, an agency for master’s level clinicians and having at least three years of experience working in an educational system. To obtain licensure, the candidate must pass the LEP exam. The U.S. Bureau of Labor Statistics predicts that psychologists overall should see job growth of 14 percent during the decade of 2016-2026. The increasing need for qualified psychologists to work with special needs children and those with learning disabilities puts school and educational psychologists in high demand. Educational psychologists earned wages ranging from $53,829 to $114,414 with the average annual wage at $74.809 according to a July 2018 PayScale wage report. Working as an educational psychologist can prove to be a rewarding career, especially knowing that what you do can make a real difference in how and if a child or even an adult learns. This is one of several reasons why, to the right individual, it’s more than worth the time and effort to obtain a license to work as an educational psychologist.